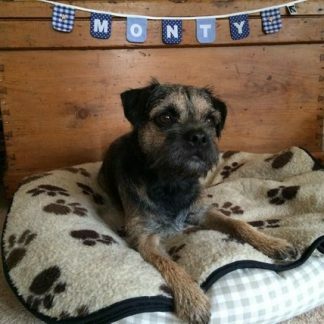 Blue and Tan Border Terrier. 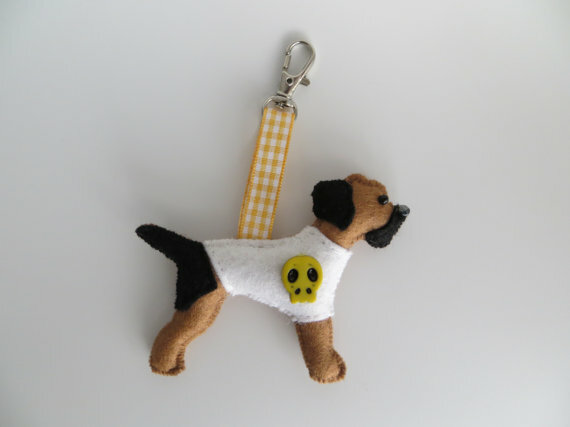 W9cm x H7cm (excluding hanging loop) Designed and completely hand sewn by me after inspiration from Heidi, my beautiful Border Terrier-little puppy Hell Hound that she is! Made from felt and filled with polyester stuffing, a black bead for the eye and a gunmetal dark grey bead for the nose. Co-ordinating orange and white gingham ribbon. 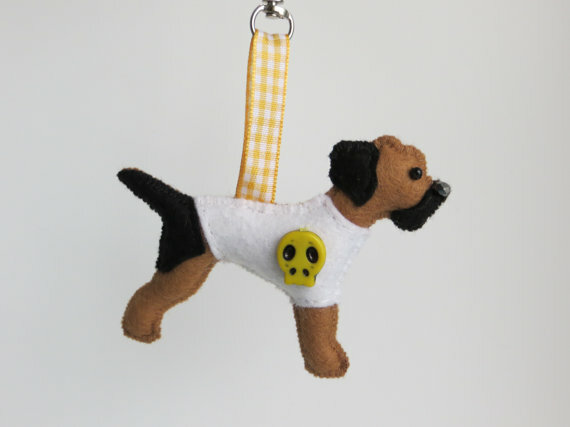 Yellow skull button bead on a white felt jumper. 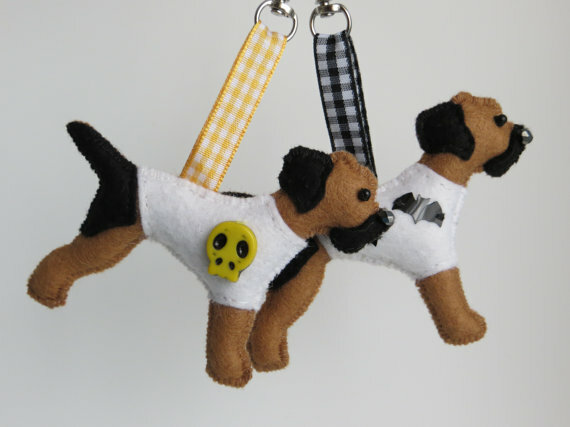 This is the Blue and Tan Border Terrier bag charm. 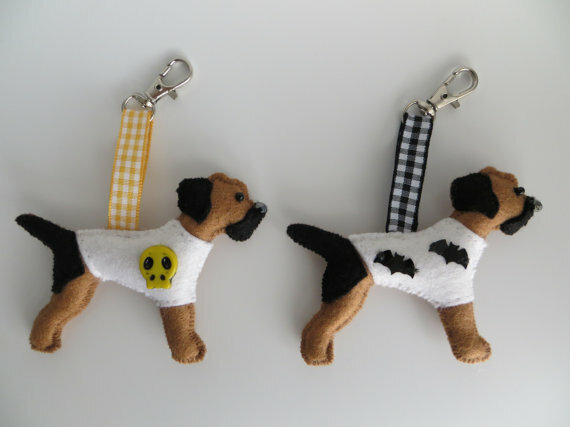 Also available as a Halloween Bats design, and both designs are available as Red and Grizzle Border Terriers too. Detailing to one side only.